Calling on Venezuelans to protest, the body demanded the establishment of a "transitional government" to organise new elections. The move was fronted by the National Assembly's president, Juan Guaidó, who yesterday told citizens: "We have a historic rendezvous with our country, with the future of our children". However, decisions by the National Assembly are not recognised by the official justice system, which is aligned with the left-wing political ideology of Chavism. One of the main objectives of the march called on Wednesday was "to support and convince the armed forces to return to the path of the Constitution, to democracy," José Manuel Bolívar, national director of the opposition party Voluntad Popular, told Euronews. "We don't want confrontation, but there is a need to protest," he added, before assuring that it will be a march on a scale never before seen in Venezuela. 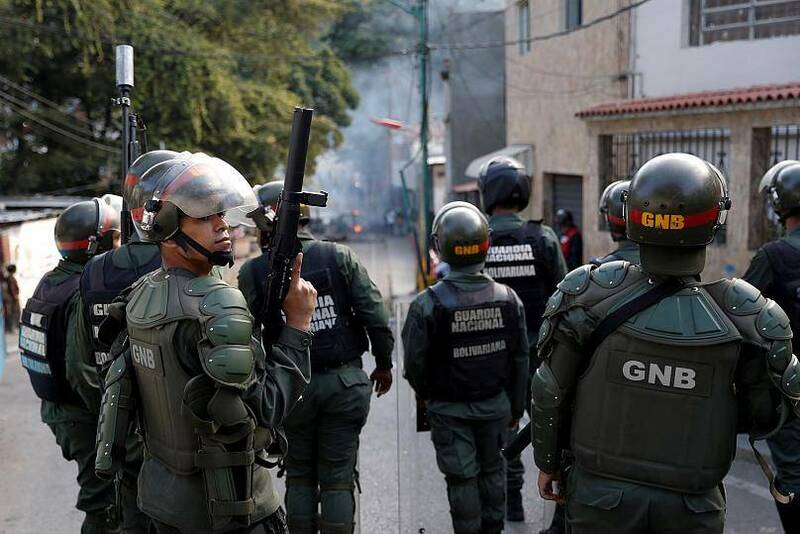 Indeed, Maduro's government faces protests from citizens of popular neighbourhoods in Caracas, formerly considered strongholds of Chavismo, which has governed the country since 1999. The protests took place in an explosive atmosphere, two days after a brief revolt by a group of soldiers in the country's capital. 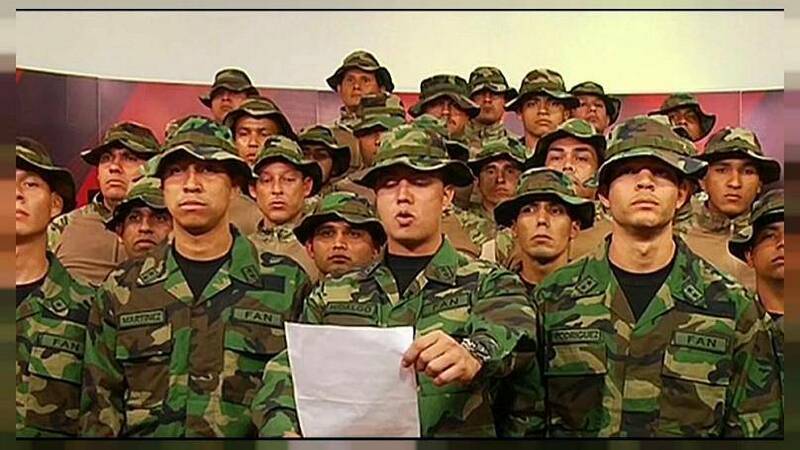 In addition, a group of Venezuelan soldiers last week made a statement in Lima saying that they no longer recognise Maduro as their leader, calling him a "usurper". Bolívar said the Venezuelan government only has one source of power left: "the force of weapons, which is falling apart." The opposition "seems interested, now more than ever, in approaching members of the Venezuelan Army and assuring them of their support," Tim Gill, a Venezuelan expert at the University of North Carolina Wilmington, told Euronews. The new president of the National Assembly has in recent weeks unexpectedly risen to the position of opposition leader, fronting a fresh movement to oust Nicolas Maduro. A 35-year-old industrial engineer and native of northern Venezuela's Vargas state, Guaidó was, until January 23, unknown in the United States, the European Union, and a dozen Latin American countries. He became the youngest president of the National Assembly on January 5 and has managed to instil direction in a divided and unstructured opposition. Under his leadership, the opposition majority in parliament declared Maduro's mandate a usurpation of the Venezuelan presidency, denouncing his re-election as a fraud and promising "amnesty" to soldiers who do not recognise him. Guaidó is known both for his private personality and the story of his troubled adolescence as a survivor of the Vargas tragedy, one of Venezuela's worst-ever natural disasters. The tragedy, a series of landslides and floods that hit the country's Caribbean coast in December 1999, left hundreds of thousands of people dead. 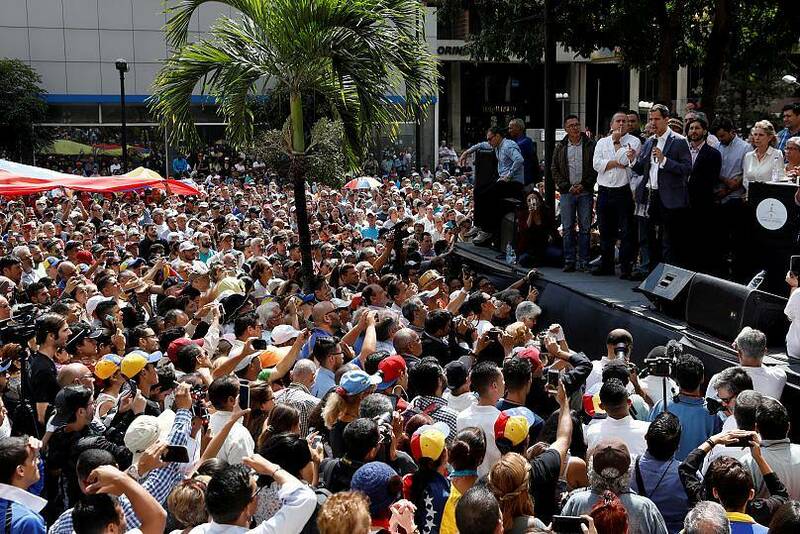 Despite not being known as a man for great speeches, Guaidó has made several this week. On Wednesday, he was declared interim president by the National Assembly, sparking an international reaction. Just a day later, Guaidó promised to reverse a number of Maduro's decisions and policies, which included the reopening of Radio Caracas Television network and allowing humanitarian aid into the country to alleviate the ongoing economic crisis. Speaking in Caracas, Guaidó said: "Venezuela suffered through the nightmare and anguish of a country that was forced to live in submission." 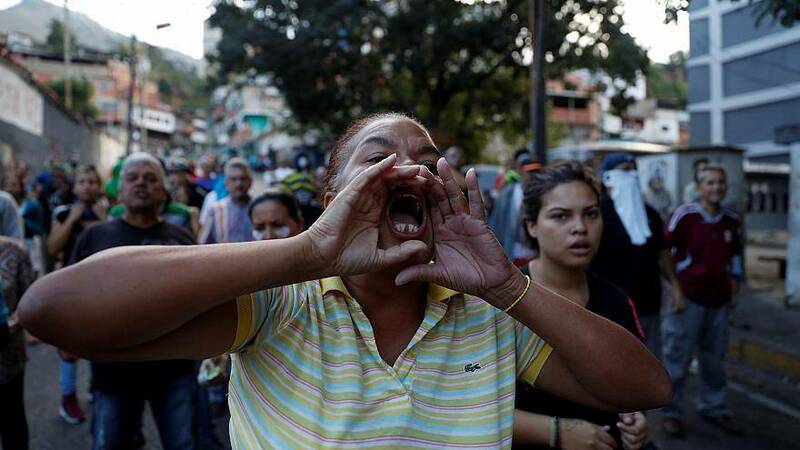 "Humanitarian aid is now going to come in, Radio Caracas Television is going to reopen. Let's wake up from the nightmare." Appealing to Venezuela's military and the international community, Guaidó asked for recognition as the president. READ MORE: Who is Juan Guaido, the self-proclaimed interim president of Venezuela? Maduro won re-election in the May 20 elections — the opposition first called for a boycott of the vote and then claimed it was fraudulent. Criticism is not only internal, 47 countries do not recognise the Venezuelan president for "not complying with the international standards of a democratic, free, fair and transparent process." Looking at the international divide in support on a world map, much of North and South America has backed the self-proclaimed leader, while Asia and Africa have so far remained faithful to Nicolas Maduro. Europe appears to be united in its calls for further elections. Maduro, during a speech on radio and television, accused the US government of ordering a "fascist coup d'état" and announced diplomatic reprisals. For the National Assembly and the opposition, a military uprising would not be a coup d'état, "because Nicolás Maduro is usurping power." "In no way is there a call for a coup d'état, the armed forces are being asked to defend the constitution and the values that are expressed there," Bolívar told Euronews. "They swore an oath to the Constitution, not to Maduro." In order to do this, they cited article 328 of the Venezuelan Constitution, which states that the armed forces constitute an institution "organised by the state to guarantee the independence and sovereignty of the nation ... to the exclusive service of the nation and in no circumstance to any person or political party." "At this point, it seems that some dispersed military want to support the opposition and depose Maduro, but those who effectively control the military do not yet seem to have joined the ranks of the opposition," explained Gill, who does not believe that a coup d'état in Venezuela can be expected in the near future. "These military leaders must be receiving some kind of benefit from the existing system that surpasses the prospect of a new government. Gill believes that in the coming days, state forces will quell demonstrators and, depending on how chaotic the situation is, "it is not unlikely that we will see both the demonstrators and the state forces violently, and perhaps fatally, wounded."